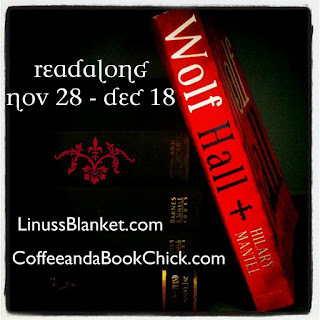 Note: This is the second of three posts for the Wolf Hall Readalong co-hosted by Nicole at Linus's Blanket and me, so be prepared for spoilers. Readalong participants should add their post's link into the Linky below so we can read your thoughts. Also, remember to use the hashtag on Twitter #WolfHallReadalong so we can stay in the loop with everyone if there are questions (or grumbles). This week's section was much longer than our first week, but my, oh my. I love what I'm reading now and the action stepped up considerably in this section, don't you think? From Cromwell and Johane breaking up, to Henry VIII meeting with the King of France, to monks being burned at the stake for their support of Tyndale...oh, my. The pacing, at points, felt to me as though it were a suspenseful thriller of momentous events, punctuated by the stillness of deep sorrow which made my heart ache. Cromwell continues to be an all-around exceptional human being in this representation from Hilary Mantel, and while at times it felt almost unbelievable that he could be this perfect, I went along with it because of the beautiful writing. While simultaneously loyal to family and friends, Cromwell is also a brilliant adviser, a tough and reasonable strategist. Not to mention, he is an animal lover (and endearing enough is the fact that he likes to name all his dogs Bella). Again, there are splashes of reminders that he can also hold his own when it comes to a fight. He's just THE MAN, in this story at least. As you all may recall from last week, I'm not especially knowledgeable about the Tudors, so I am trusting that, while personality traits may be fictionalized, the events itself are accurate. Regardless, despite any doubts, when I compare Thomas Cromwell to Thomas More in this book? 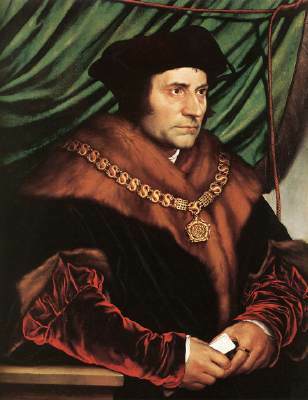 Thomas More was a malevolent, vile creature who tortured people and was abusive to his wife. Cromwell continues to be a just and loyal man. Cromwell gets a seat in Parliament, representing Taunton. On the last day of 1530, Cromwell is sworn into the King's council. 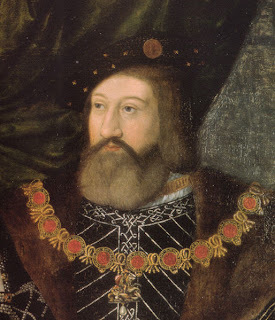 Harry Percy claims he and Lady Anne Boleyn are married, causing a brief stir of potential calamity for the Boleyns' quest to have Anne be the Queen. The prophetess, Elizabeth Barton, predicts to Henry VIII that he will only reign for seven months if he marries Lady Anne. Again, my, oh my. So many events occurred throughout this week's section that with Mantel's construction of events and writing, it became a completely engrossing week for me and I couldn't put it down. I still feel conflicted about Cromwell because while part of me initially believed he seemed a little too perfect, I look at my notes and am reminded that less than one month after Cardinal Wolsey dies, Cromwell is then sworn into the King's council. I feel a little uncomfortable by this at first, because I want Cromwell to be this perfect man, but for him to now be a supporter and trusted adviser of the king who turned his back on Wolsey was unnerving. 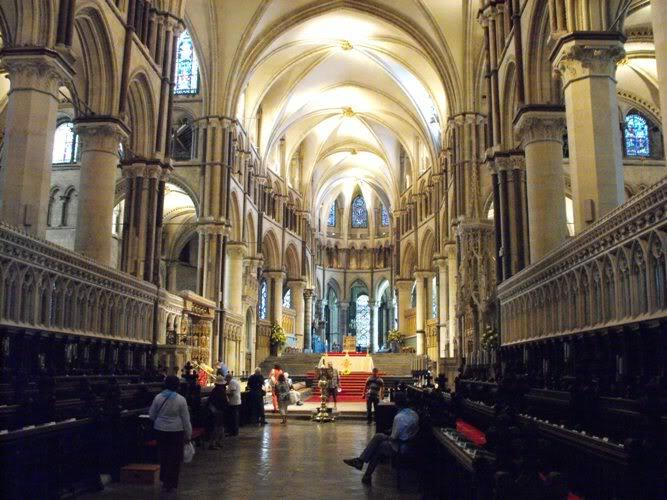 Of course, I then am even more conflicted, since really, what else can Cromwell do? Turn down being part of the King's council? Not really. This was the time of torture, burning at the stake, etc. Another week of beautiful writing and a compelling story. I am ecstatic that I am reading this book. What did you think of the Parts 3 and 4? Post your thoughts on your blog and add the link to the Linky below. If you are participating and don't have a blog, go ahead and leave your thoughts in a comment below. If you have already read it, feel free to add your thoughts as well! I love the way you do your reviews! I'm enjoying the book a great deal. I love how Ms. Mantel draws you in to the moment. What a period in time. Oh, I am so glad you are loving it! It bodes well for me! I'm so sorry to say I have to stop reading with you guys. I'm losing control of December, with so much to do I have to wave the white flag in a few areas... this is one. When I pick up the book again, I will come back and comment. Good luck finishing the book, I hope you love it! I just posted my thoughts on Part II and IV (more scattered than yours, I'm afraid). Part IV showed the dangers of Henry's court....This seems like a book that will probably still be working in my mind after I finish reading it, but right now it is slow going.